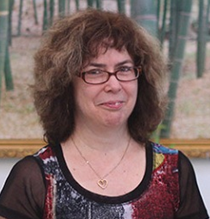 Micheline-Joanne Durand is a professor in the department of administration and education fundamentals in Université de Montréal’s faculty of education. She is in charge of the professional skill assessment programs (microprogram, SSHGD and masters in education) and director of Laboratoire en évaluation des apprentissages et des compétences, where she has been supervising more than 30 graduate students for ten years. Her academic background and her teaching experience are two reasons why she gets involved in schools, professional environments, and in government settings. She is also involved in research and training in several universities abroad, whether in Central America, South America, Africa, Europe or Asia. She has coedited two books for Éditions Marcel Didier, of which more than 14,000 copies have been printed, and which are aimed at education students as well as teachers and professionals in charge of assessment. Her current research interests include language skill assessment, innovative assessment instruments, and the integration of ICT and differentiated education devices (following the UDL model) in assessment approaches, from preschool to university. Durand, M.-J., Loye, N., Stasse, S., et Dupuis, M.-E. (2015). Dispositif de formation numérique aux 1er et 2e cycles universitaires : structuration, évaluation et perception des étudiants. Dans J.-G. Blais et J.-L. Gilles (Dir. ), Évaluation des apprentissages et technologies de l’information et de la communication. Peter Lang.